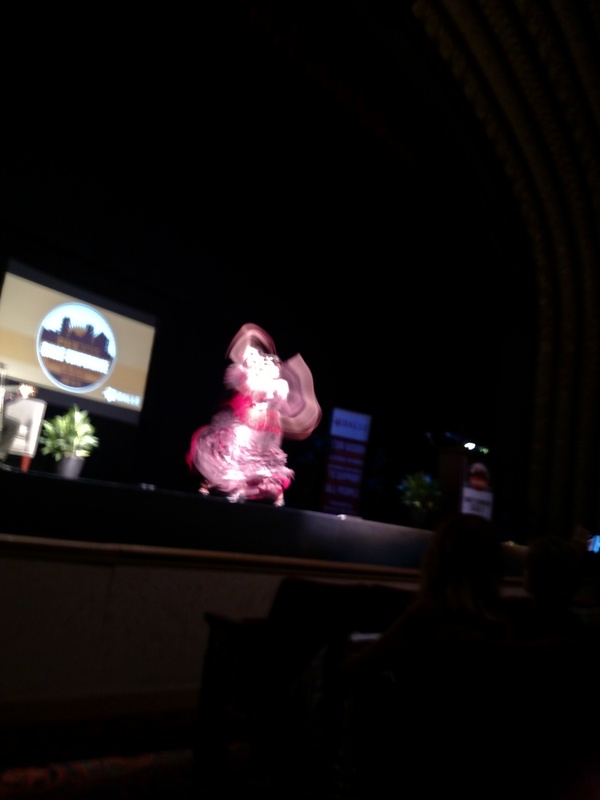 Inspirational flamenco dancing at Orpheum got the day off to a spirited start. A short BALLE film called “Be A Localist” followed. Then came the second Vision Session, “Entrepreneurship and Financing for the Future we Want.” Themes of sharing, deep community, access to money, and bringing the heart back into finance dominated the Thursday morning Vision Session. Amanda Cabot, founder of Dansko shoes the Dansko Foundation, provided an example of a company based on multiple bottom lines. Dansko offers a new kind of capitalism in which workers get their share, including an ESOP. Matt Stinchcomb, new leader of the Etsy Foundation (www.etsy.org), followed. Etsy is one of only two B-corps to go public. The foundation launched at the beginning of June. Writer and activist Leah Hunt Hendrix of the New Economy Coalition then lead a panel discussion of how we can move away from the “suicide economy” to building community and wellness. In 1945 finance was 10% of economy; now it is twice that. Finance with a heart. Discussion also included the need for public banks, including discussion in San Francisco of a municipal bank. Financial systems need to be redefined with metrics that go beyond short term profitability. Dana Pancrazi, an escapee from Merrill Lynch, described the work of the F.B. Heron Foundation where she is VP for Capital Markets. Heron is 100% mission driven, abandoning top down money system, and agnostic as to tax status of grantees. 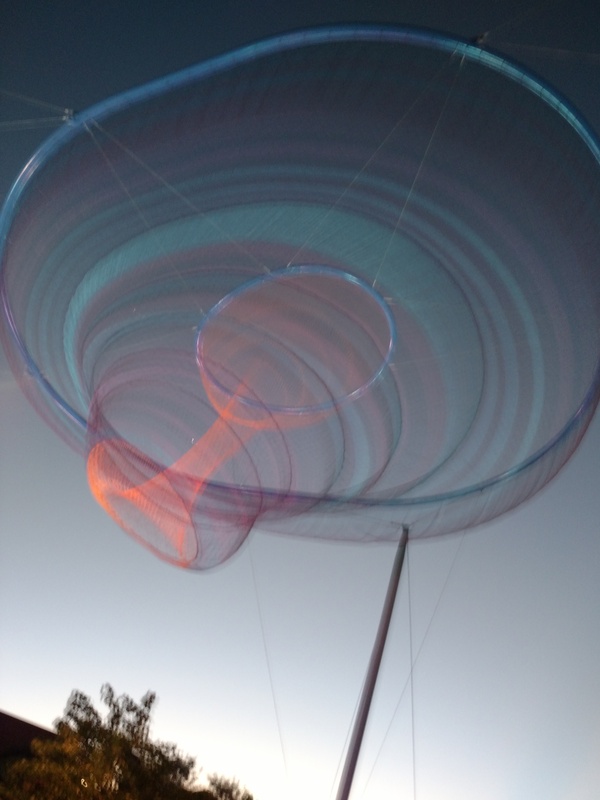 Heron refocused in 2014 and has put out $600000 in just ten months. They desire deep engagement with grantees as financials are only a number. Returns should both focus on gains and doing good. The BALLE attendees then walked back to the host hotel, the Phoenix Downtown Renaissance. 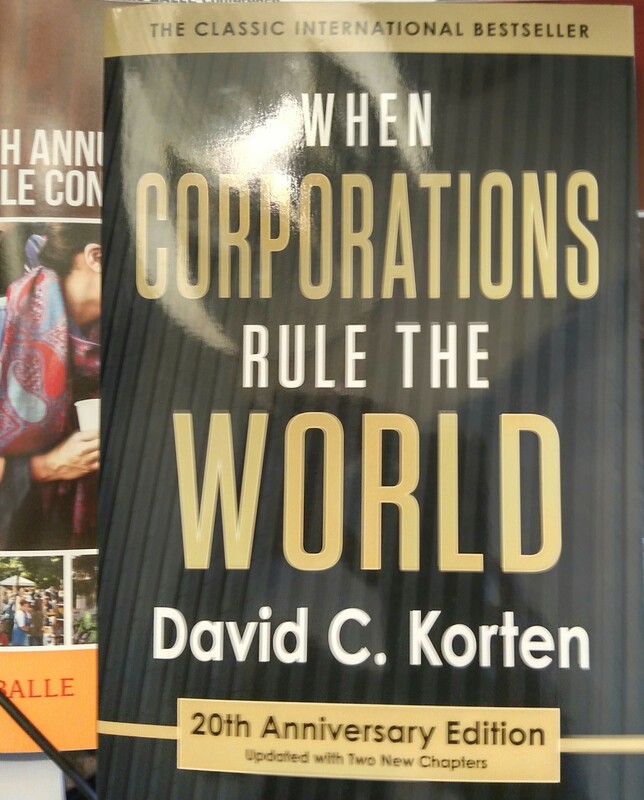 By luck of where I chose to eat, I ended up with the honor of purchasing the first copy sold of the 20th Anniversary Edition of David Korten’s When Corporations Rule the World. I took that volume up to my room and headed though the heat and sunshine on the f9ve block walk to the Walter Cronkite School of Media at Arizona State University’s downtown campus for my pick among four choices for Thursday Interactive Session tracks. Our wonderful host, Kimber Lanning of Local First Arizona facilitated Local First 3.0: Part A, Local Strategies for Real Prosperity. With a recently replaced right knee in an unfamiliar city, I arrived late to hear Michael Powe present about Green Lab, the research and development component of the National Trust for Historic Preservation. Green Lab includes the Climate Heritage listserv and posts National Trust website. I learned that the culture of preservation has changed in Phoenix, from the inside out, building as system of trust and broadening what “preservation” is. “Older, better, smaller,” retrofitting old structures for efficiency, was the morning’s primary message. It takes ten to eighty years (the average is 43 years) before a even LEED certified building to overcome the damage from the impacts of construction. We can encourage reuse of older structures with “strong bones.” Phoenix contains what Rowe called the most successful adaptive reuse building in USA. A $4.5 million of a shell of a building now houses $5.9 million business. Retrofitting construction drove up the value of nearby homes. Preservation is the future. Forty performance metrics are used to measure livability. Younger folks move to where the buildings are older and smaller. Nightlife and creative economy thrive where a diverse range of buildings exist in a mixed used neighborhood. A higher number of new, female and minority owned businesses exists. Hidden density, startups need cheaper spaces. Partnerships for building reuse can be formed and enhanced with sharper public discourse, local task forces, pilot programs, shared ownership and values, fostering existing communities and mixing the old with the new. Developers want certainty, so we need to work to make it easier to get zoning and permitting approved for rehab projects. Form based code can be used to address the loss of building and carpentry talent. The business model for restoration has to be attractive, blending policy, education, good models, and changes to the financing. Our host state of Arizona is the only one that doesn’t permit financing through TIF. Members of the community need the opportunity to invest free of SEC regulations. Following a networking break with Tanka and other sponsor treats, we reconvened for Localism 3.0, Part B: Measuring What Matters. Data needs to measure what matters. Local businesses are creating jobs and doing good for their communities. Local matters, and local businesses are often more generous. 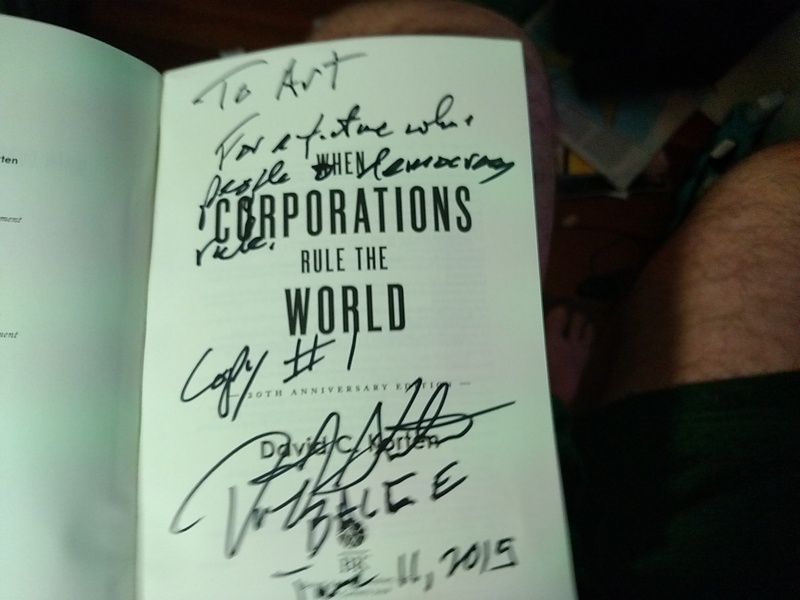 All but two B-corps are privately held. The exceptions are Patagonia and Etsy. B-corps use business as a force for good and model how we change behavior. In April Senator Bob Mendez introduced the American Star Act (https://www.govtrack.us/congress/bills/114/s938). The act, if passed, would establish within the Department of Labor a voluntary America Star program under which the Secretary annually shall designate certain companies, based on specified performance categories, as America Star companies for their support for the U.S. workforce. A spirited dinner and party at the A.E. England Building and adjacent Civic Space Park followed the days work. Localists enjoyed good food from a local caterer and drinking and a rocking band, while purchasing mass quantities of “Localist” t-shirts. Across Central Avenue from the Cronkite Center, the England Building is older, better, smaller, a 1926 auto dealership converted into a gallery and meeting place.